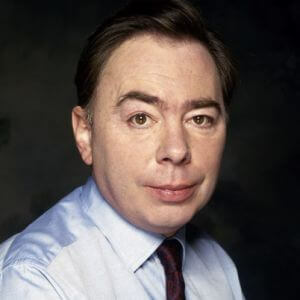 Andrew Lloyd Webber, otherwise known as Baron Lloyd-Webber (born 22 March 1948) is an English composer and impresario of musical theatre. Several of his musicals have run for more than a decade both in the West End and on Broadway. He has composed 13 musicals, a song cycle, a set of variations, two film scores, and a Latin Requiem Mass. Several of his songs have been widely recorded and were hits outside of their parent musicals, notably “The Music of the Night” from The Phantom of the Opera, “I Don’t Know How to Love Him” from Jesus Christ Superstar, “Don’t Cry for Me, Argentina” and “You Must Love Me” from Evita, “Any Dream Will Do” from Joseph and the Amazing Technicolor Dreamcoat and “Memory” from Cats. He has received a number of awards, including a knighthood in 1992, followed by a peerage from Queen Elizabeth II for services to Music, seven Tonys, three Grammys (as well as the Grammy Legend Award), an Academy Award, fourteen Ivor Novello Awards, seven Olivier Awards, a Golden Globe, a Brit Award, the 2006 Kennedy Center Honors, and the 2008 Classic Brit Award for Outstanding Contribution to Music. He has a star on the Hollywood Walk of Fame, is an inductee into the Songwriter’s Hall of Fame, and is a fellow of the British Academy of Songwriters, Composers and Authors. Andrew Lloyd Webber’s company, the Really Useful Group, is one of the largest theatre operators in London. Producers in several parts of the UK have staged productions, including national tours, of the Lloyd Webber musicals under licence from the Really Useful Group. He is also the president of the Arts Educational Schools London, a performing arts school located in Chiswick, West London. Andrew Lloyd Webber also premiered The Phantom of the Opera in 1986, inspired by the 1911 Gaston Leroux novel. He wrote the part of “Christine” for his then-wife, Sarah Brightman, who played the role in the original London and Broadway productions alongside Michael Crawford as the Phantom. The production was directed by Harold Prince, who had also earlier directed Evita. Charles Hart wrote the lyrics for Phantom with some additional material provided by Richard Stilgoe, with whom Andrew Lloyd Webber co-wrote the book of the musical. It became a hit and is still running in both the West End and on Broadway; in January 2006 it overtook Cats as the longest-running musical on Broadway. On 11 February 2012, Phantom of the Opera played its 10,000th show on Broadway. In 2002 he turned producer, bringing the musical Bombay Dreams to London. With music by Indian Music composer A.R. Rahman and lyrics by Don Black, iIt ran for two years at the Apollo Victoria Theatre. A revised Broadway production at the Broadway Theatre two years later ran for only 284 performances. On 16 September 2004, his production of The Woman in White opened at the Palace Theatre in London. It ran for 19 months and 500 performances. A revised production opened on Broadway at the Marquis Theatre on 17 November 2005. Garnering mixed reviews from critics, due in part to the frequent absences of the show’s star Maria Friedman due to breast cancer treatment, it closed only a brief three months later on 19 February 2006. Lloyd Webber produced a staging of The Sound of Music, which débuted November 2006. He made the controversial decision to choose an unknown to play leading lady Maria, who was found through the BBC’s reality television show How Do You Solve a Problem like Maria?, in which he was a judge. The winner of the show was Connie Fisher. 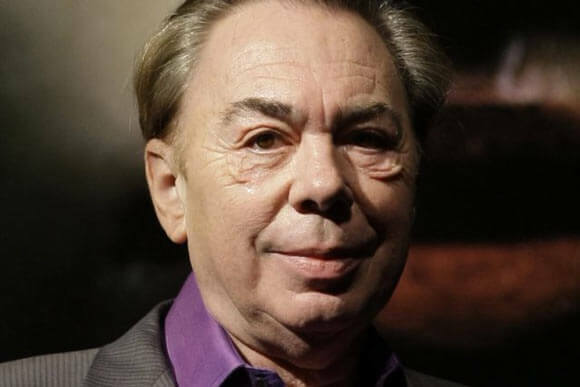 In September 2006, Lloyd Webber was named to be a recipient of the prestigious Kennedy Center Honors with Zubin Mehta, Dolly Parton, Steven Spielberg, and Smokey Robinson. He was recognised for his outstanding contribution to American performing arts.] He attended the ceremony on 3 December 2006; it aired on 26 December 2006. 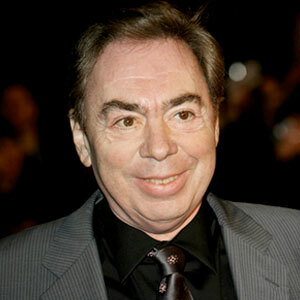 On 11 February 2007, Lloyd Webber was featured as a guest judge on the reality television show Grease: You’re the One that I Want! The contestants all sang “The Phantom of the Opera”. Hon. Isabella Aurora Lloyd Webber (born 30 April 1996).